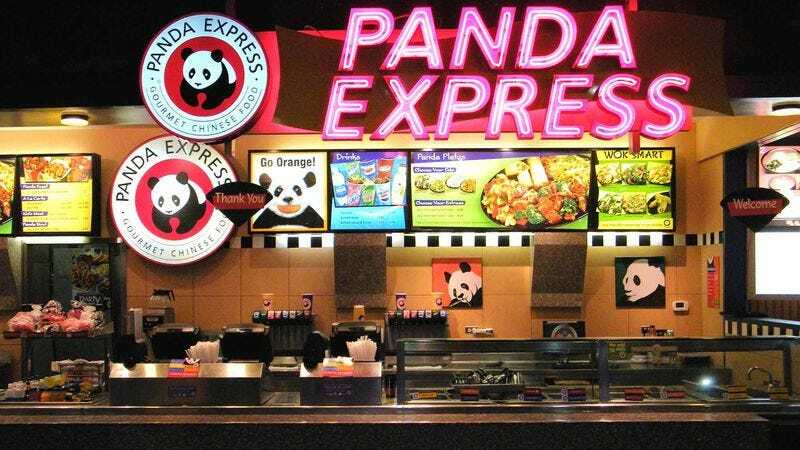 MEMPHIS, TN—With its combination of flickering fluorescent lights, seats facing a Delta security checkpoint, and day-old lo mein noodles sticking to its teal-colored tiled floors, Memphis Airport’s Panda Express is now the the nation’s most depressing place, sources confirmed Tuesday. “We found listening to alternating English and Spanish safety announcements while eating orange chicken at 10 in the morning to have a soul-crushing quality unlike anywhere else in America,” said US News & World Report list editor Brian Kelly, adding that the chinese fast food restaurant became the nation’s saddest location after overtaking a concession stand at a Flint, MI, dollar-movie theater. “The Panda Express had been holding steady at number two for several years, but once they switched from red and yellow paper plates decorated with Chinese dragons to plain-white Styrofoam containers, that took it over the top.” Other locations that made this year’s list were a Boca Raton, FL, burn ward, the House of Representatives, and wherever 34-year-old Fairfax, VA, resident Nate Clement happens to be.